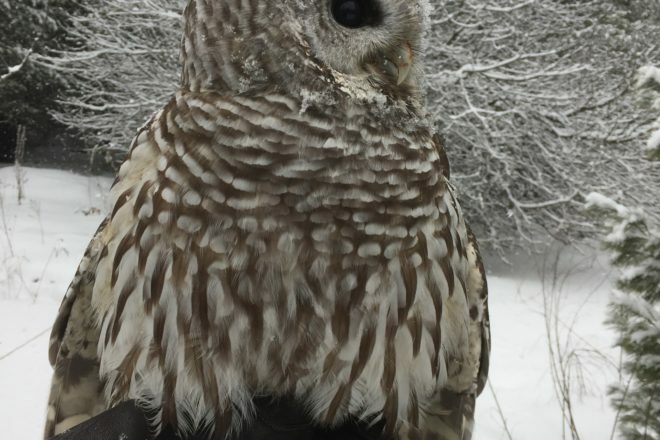 Radar, the Open Door Bird Sanctuary’s barred owl. Photo by Andy Seefeldt. Stop by to enjoy snowshoeing, hiking or cross-country skiing on the sanctuary’s trails (take your own equipment). The trails, about two miles long among all three, are fairly level and traverse various landscapes. Of course, you can meet some of the resident raptors during your visit, and there will be a bonfire and warm beverages. Admission is $3 per person. For more information, visit opendoorbirdsanctuary.org.